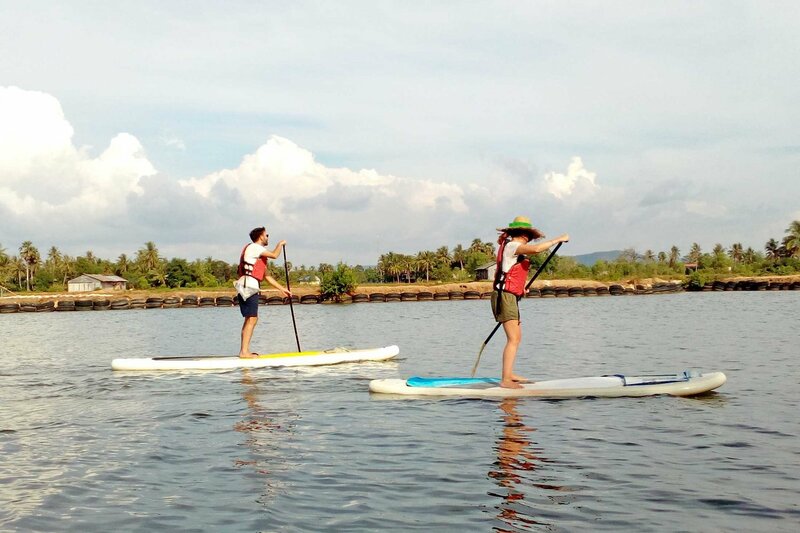 Exploring the Kampot mangrove conservation area by stand-up paddleboard. So much fun learning to Stand Up Paddleboard! 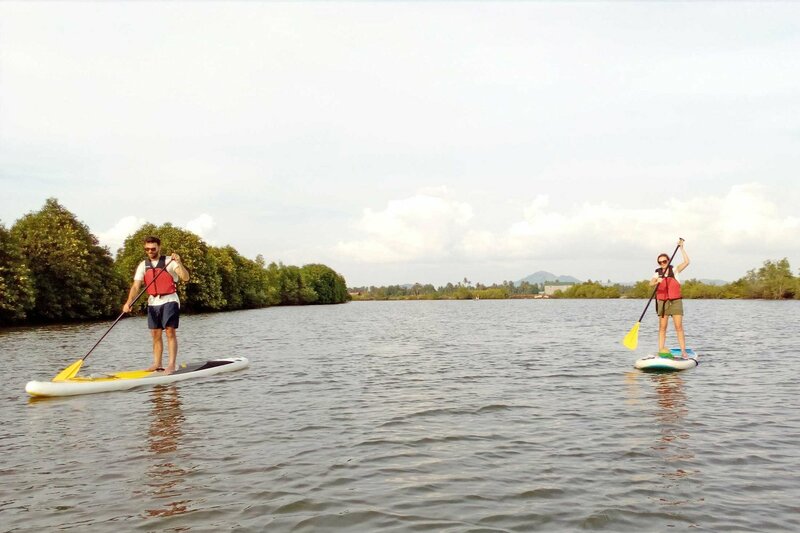 I say learn, our lesson consisted of being thrown a paddle and board and a quick demo on how to stand up without falling off! 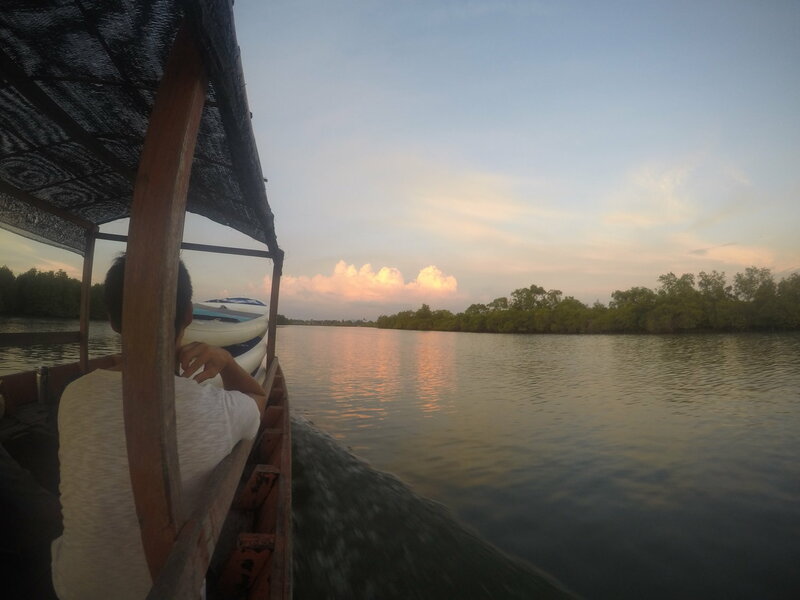 We boarded a tuktuk with our paddleboards on the roof and drove the 20mins via salt fields and Cham villages to reach the mangrove conservation area. 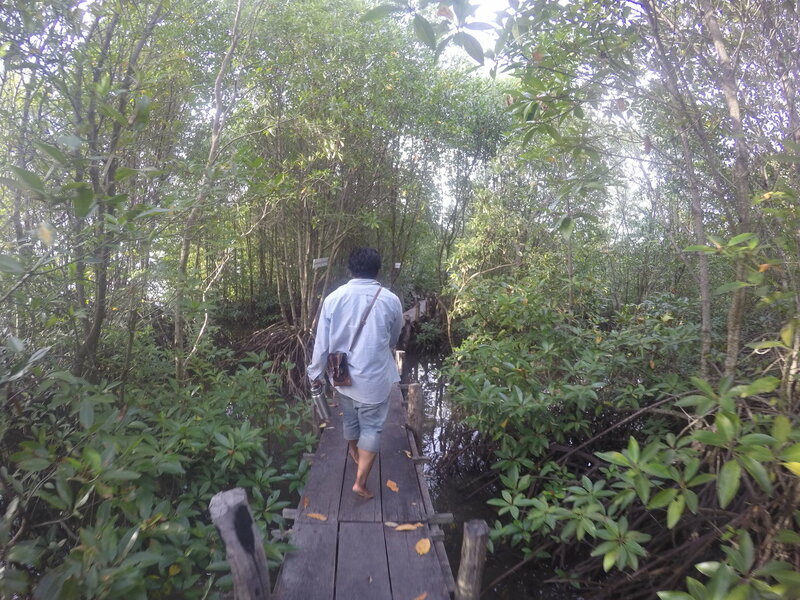 Our adventure begun learning all about the mangrove ecosystem and the vital part they play in forest life, marine life and people’s lives. Sadly, over 35% of the worlds mangroves have already gone and here it’s as high as 50% of the forests. All because of tourist developments, illegal fishing and pollution. 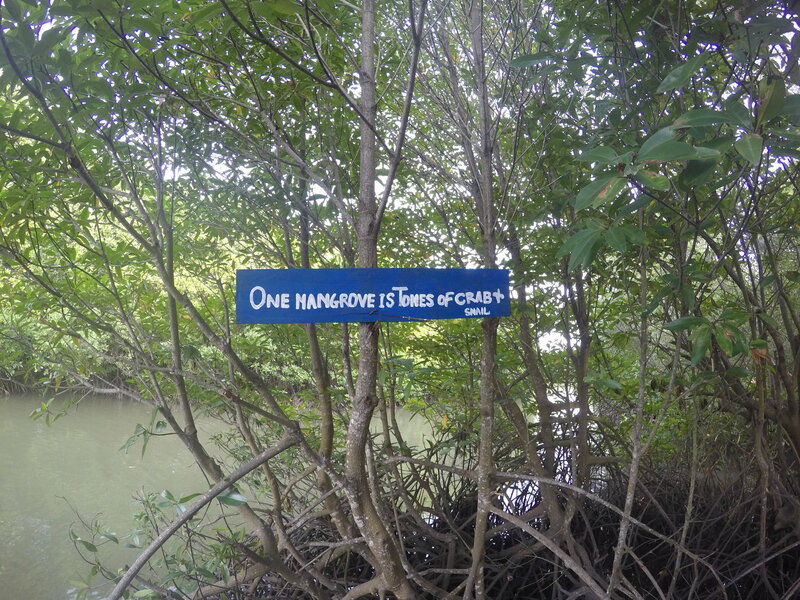 The community based mangrove conservation project started in 2012 with a goal to plant 2 million new trees by next year. 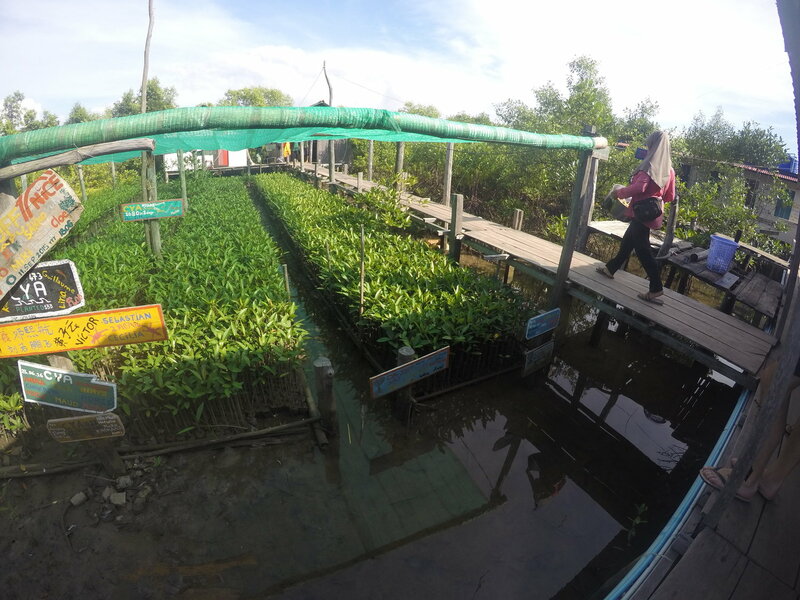 As we stroll around the eco-village we see thousands of baby potted mangroves that will be planted on the coastline by students, volunteers and locals over the coming months. Paddling 4km down river we arrive at the open sea waters. Tying up our boards, we jump up to the wooden platforms and explore the area on foot. Walking through the forest our guide pointed to dozens of baby crabs at the base of a mangrove explaining how their distinctive root system plays a crucial role in protecting hundreds of adolescent sea life species. The mangroves work together with seagrass meadows and coral reefs to create the coastal ecosystem, so without one — it breaks the cycle. Having watched the documentary Chasing Coral last year and seeing how fast these are disappearing too it really breaks my heart, although I am so pleased to see such a great conservation project like this! 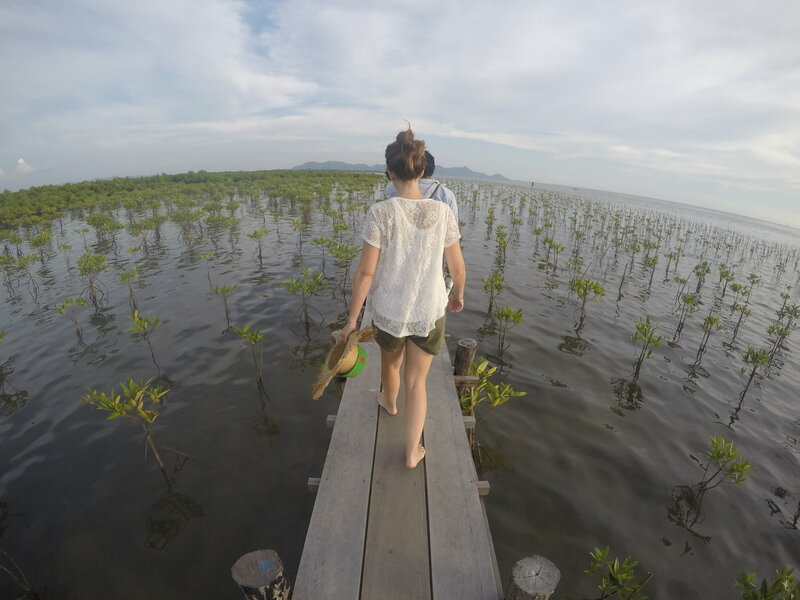 Onto the open waters, this is where all the mangroves are being planted, they go back as far as the eye can see — it really is amazing. The families who manage this project are a longstanding fishing community who have been taught that without a sustainable ecosystem in place it’ll have a huge impact on their livelihood. Education can make such a difference. Our guide told us that often Vietnamese fishermen come into these waters and use [illegal] electric nets, which kill off all the marine life!! 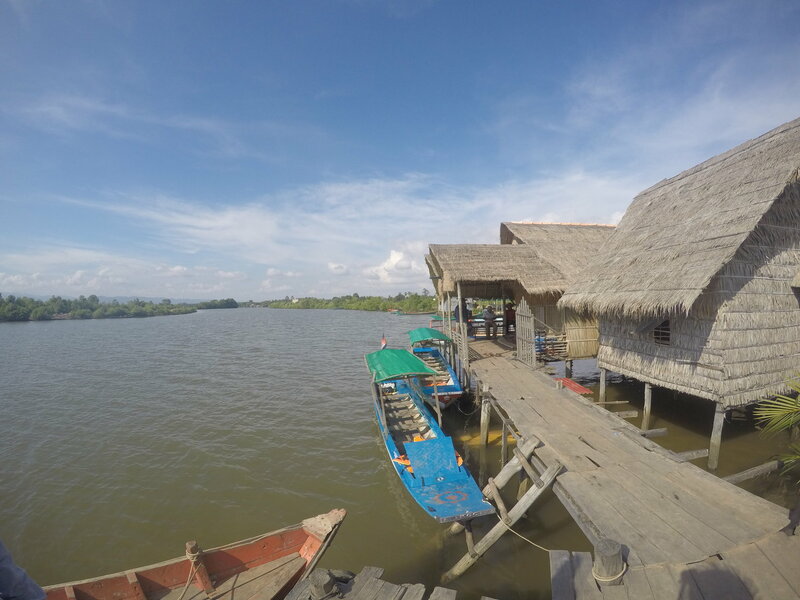 The community here used to capture the nets and hand into the police but sadly due to a lot of corruption the Vietnamese just end up buying them back and they return to the Cambodian coastline. So now when the locals find the equipment they burn it instead… which I’m pretty sure can’t be great for the environment either but it’s a small win for mangroves! We end our adventure with a well earned cold beer and sunset on the boat.